Pioneers in the industry, we offer air condensers from India. We manufacture Air Condensors using stainless steel and non ferrous metals like: brass condenser and copper condenser. Our condensers including copper condenser or industrial condenser are available in capacity of 1sqm to 100 sqm. Our range includes copper condenser, brass condenser, stainless steel condenser, steel condenser and industrial condensers. The inlet and outlet temperature of the condensors depend on the customers requirements and demands. 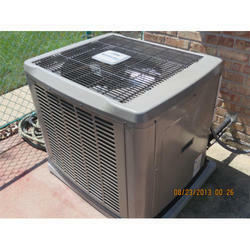 Looking for Air Condensers ?